Amber started practicing Yoga with her mom as a young girl. After graduating high school, she began practicing yoga with an instructor at the local college who inspired her to become an instructor herself one day. Yoga has helped her recover from injuries from a car accident, handle the challenges of a busy family, manage the stresses of running a farm all while working part-time as a dental hygienist. 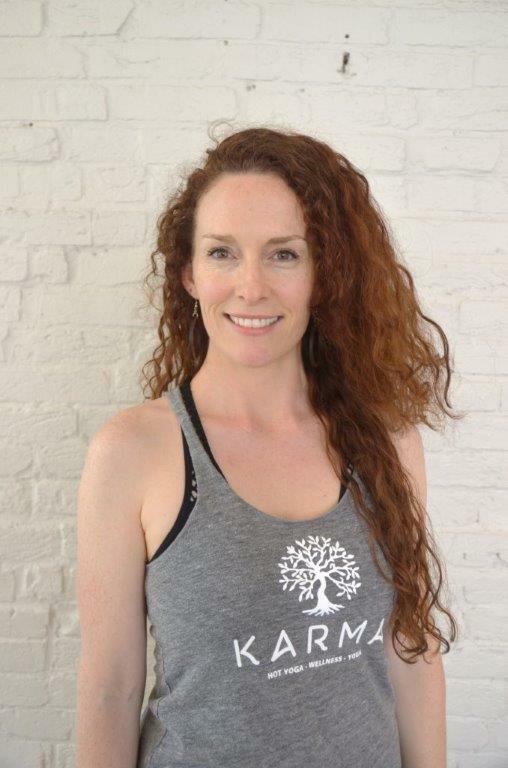 Married for 7 years, she and her husband have two awesome little boys and run Amberdale Farms in Boston, KY. Amber completed the KARMA Yoga School of Yoga and Wellness 200-hr program in May. She feels so grateful to be in a position to help folks find their best selves in the amazing practice of yoga!